Seriously whats the points of it.... 10$ ????? In leiu of games, this is the only source of income the franchise has. Do your part. lol at Anonymous 2. 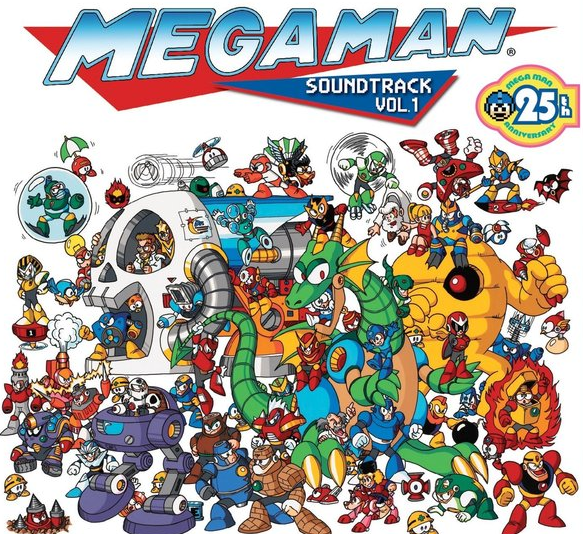 "If you like Mega Man, you HAVE to buy these soundtracks. You have no choice." Unfortunately that's been the mindset for a while now. Buy the merchandise or you'll never see a Mega Man game again. How's that working out for everyone? I'm just waiting for Smashbros so I can "Do my part." @Cyberguy64: How's anyone gonna know you did your part? 1. Smash has been historically known to be one of the best selling video games. So how do they know it's not Smash just doing its thing? 2. Smash has many different series representatives, many of which are from the most popular and highest selling gaming franchises, two of which are the literal best selling video game franchises. So how do they know it's not simply them selling the game? 3. Even if the lesser known series were the reason the game sold outstandingly, how does anyone know which particular fanbase stepped it up, or what series has caught on? Who's to say Fire Emblem didn't sell it or (hopefully they get a rep) Mother fans did the "doing their part." Lesson learned today is Smash is gonna sell a gazillion copies. Great, the dozenth re-release of music I've had for years and years. Ya know... this really grinds my gears. I'll explain. "Sumthing Else Music Works" seems to be responsible for a great many copyright claims on YouTube. For example, all of my Rockman 2 videos, as well as a single Mega Man Powered Up video, have been flagged for audio content by "[Merlin] Phonofile", which is an international subsidiary of Sumthing, from what I've read. I filed counter-claims against Phonofile on every last one of my videos because I thought it was a series of bull-tish. And I, in fact, still do since the music was being played directly from the video games themselves. This happened fairly recently, too -- like within the last month. Oh. Good. Now the Universal Music Group is involved in those claims, so all those videos are now "blocked in some countries". Which countries? I have no idea. They don't seem to tell me. Either way, the dispute was rejected and the claim reinstated. I can expect the same treatment for my other Rockman/Mega Man videos shortly, I imagine. If it's just a claim flag, and not a copyright strike, who cares? You have no right to counter-claim, and have probably just made things worse for yourself. You don't own anything in a playthrough video, so don't act like this is complete BS. I'm not saying the automated copyright flag system is ideal (there's tons of false positives and have been some true injustices done, but your situation doesn't apply there), but you use their infrastructure for free displaying other people's content, so you play by their rules. Get over it. I think you missed the point, Anon. And that point is the automated Content ID Match system is greviously flawed. It saw my Rockman 2 videos as videos using OST tracks when in actuality, it was straight up game footage. I also made absolutely no claim to the music, but simply countered with the fact there was an error in the Content ID matching. Nothing more. If you seriously think I'm sitting back there going "Yep, this is completely 100% my stuff and no one else's! ", you're gravely mistaken and I'm rather insulted you would think that lowly of me. Smash, cell phone apps, and re-re-re-re-re-re-releases of the games to accompany the re-re-re-re-releases of their corresponding soundtracks. "crickets still won't shut up"
Capcom: Oh come on, what do you waaant!? Jiminy cricket: (comes out from the crowd) something new, and we can help with that. Just sign this contract, here. Jiminy cricket: Then we'll just buy your shares, toodle-oo (tips top hat and walks away). There's any difference between this and the e-can? and does someone have a hi-def source of that image? I'd be happy to use it in a t-shirt.